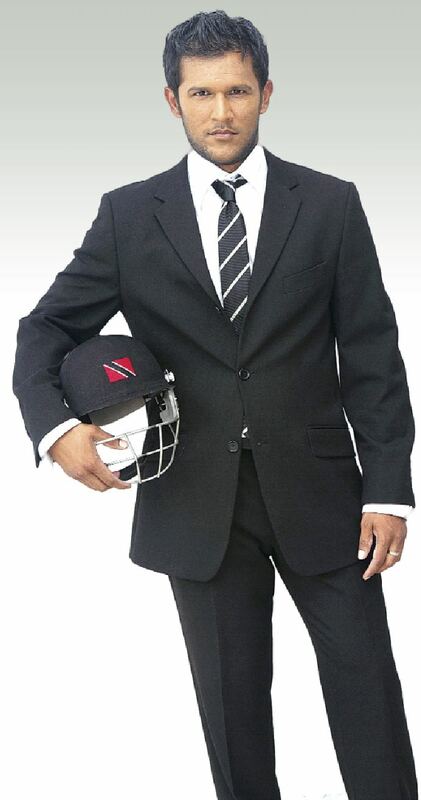 Daren Ganga (born 14 January 1979) is a former West Indian cricketer of Indian descent. He is a right-handed top order batsman and part-time right-arm offbreak bowler. After debuting as a 19-year-old he has found himself in and out of the West Indies team, playing regularly for and at times captaining the West Indies A side when he was not selected. After being named the 2006 West Indies Players' Association 'Test player of the year', Ganga had for the first time in his career cemented his spot in the side and when captain Ramnaresh Sarwan injured his shoulder in the second Test of their 2007 tour of England, the West Indies Cricket Board turned to Ganga to captain the side for the remainder of the series. Ganga has previously had a chance to hone his leadership from captaining the Trinidad and Tobago and the West Indies Under-23 teams. He can also bowl off spin but he is mainly a batsman. Ganga made his first-class debut for Trinidad and Tobago on 21 February 1997, against Guyana at Queen's Park Oval aged 18. His teammates included Phil Simmons, Brian Lara, Mervyn Dillon and Ian Bishop. He only managed one half century in the series, an innings of 54 against Guyana. The following season in the West Indies Board president’s Cup 1997/98 he made his breakthrough. After making 68 against Jamaica earlier in the series but nothing else substantial, he came into Trinidad and Tobago’s final game needing a big score. Playing against Barbados, Ganga batted at number 4 and came in with his side in trouble at 3 for 33. He top scored with 138 and helped his country win the game by 1 wicket. In August 1998, Ganga was named in the West Indies squad for their tour of South Africa. At the age of 19 he was the youngest Trinidad and Tobago player in 35 years to make the Test side. He made a half century in their opening warm up game against Griqualand West but failed against Border and South Africa. Ganga was named in the side for the 3rd Test at Durban and batted at 6, behind established players like Lara, Hooper and Chanderpaul. In the first innings he made 28 from 94 balls before being bowled by Shaun Pollock. He made 5 in the second and the South Africans won by 9 wickets. Scores of 17 and 16 came from Ganga in the following Test and after 4 Test innings he had been dismissed by Shaun Pollock on every occasion. Ganga kept his spot in the side for the 5th and final Test and opened the batting with Philo Wallace. He again struggled again Pollock, falling to him in both innings, first for a duck and then for 9. After returning home he had a disappointing domestic season in 1998/99 where he made just the one score above 50. He played for the West Indies Board President's XI against the touring Australians but was not selected to play in the Test series. In November 1999 Ganga represented the West Indies A in a game against India A before touring New Zealand. He toured New Zealand with the West Indies in December and despite making a hundred against Auckland he did not play a Test. He appeared just once for Trinidad in 1999/2000 and captained the West Indies Under-23 side in a game against Pakistan in April. Although he failed to make double figures in the match he got another chance against them two weeks later when he got selected for the West Indies A. He made a pair of 50's and after again playing for the West Indies A, this time against South Africa, he got recalled to the West Indies squad for a tour of Australia in 2000/01. Opening the batting he had a steady, but unspectacular tour. In 4 Tests he managed a top score of just 32. In July 2001 Ganga toured Zimbabwe with the West Indies. He had been in good form in domestic cricket for Trinidad and Tobago, scoring a century in his opening game against Barbados and making 80 against South Africa for the Busta Cup XI. The Zimbabwean tour was a success for Ganga, he started with 79 against Zimbabwe A and in the 1st Test at Bulawayo he passed 50 for the first time in Test cricket, finishing with 89. The tour concluded with a stop over in Kenya where they played 3 ODI games and a couple of first-class fixtures. Ganga made a century in the second of the two first-class games. Later in the year the West Indies toured Sri Lanka and after contributing 47 and 33 in the 1st Test he made just 24 runs from his 4 innings in the final two Tests. In 23 Test innings he had managed a highest score of 89 and a second highest of just 47 so when a Test series scheduled against Pakistan followed the Sri Lanka series in January 2002 he was perhaps fortunate to be included in the squad. The series took place at Sharjah due to security reasons and in the 2nd Test Ganga made 65 in the first innings. Ganga was dropped from the team for their home series against India and was on the sidelines until a tour of Bangladesh in December. He played in both Tests, making 63 in the second and then enjoyed a full season with Trinidad and Tobago, something he had previously been unable to do due to commitments with West Indies A and under age sides. Australia toured the West Indies in April and May 2003. 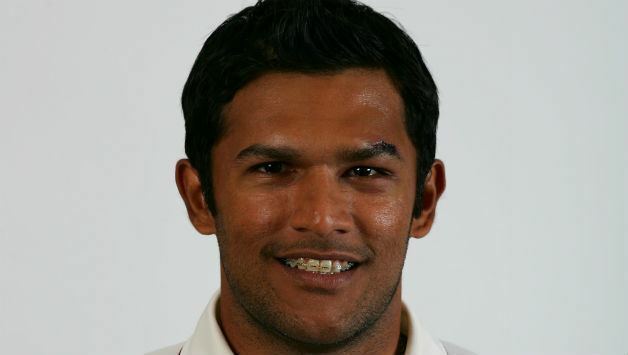 With the Australian team missing Shane Warne and without Glenn McGrath for most of the series, Ganga made his maiden Test century in the 1st Test at Georgetown. He batted at number 3 and made 113 before being dismissed by Darren Lehmann. The next Test was at his home ground, Queen's Park Oval in Trinidad. In good batting conditions the Australians had put on 576 runs in their first innings and the West Indies, having lost opener Devon Smith for a duck were staring down the barrel when Ganga came to the crease. In an innings which took 326 minutes, Ganga scored 117 and completed his second Test century in two innings against the Australians. Ganga returned to the African continent in 2003/04 for a Test series against both Zimbabwe and South Africa. He struggled in his 4 Tests in South Africa despite making 60 in his opening innings. Makhaya Ntini dismissed him 6 times and he finished the series with 122 runs. Back home, in April 2004 he took part in his first series against England. He took part in the 3rd and 4th Tests without success and again lost his place in the team. He did not play any more cricket until the 2004/05 domestic season where he made 610 runs and captined Trinidad and Tobago to Carib Beer Cup triumph. 265 of them came in a single innings, against the Leeward Islands. In July 2005, he was voted Trinidad and Tobago's Cricketer of the Year. It was not enough to earn him a Test recall but he got to captain the A team in a series against Sri Lanka A which included a century and a 99. His recall finally came in March 2006 with a tour of New Zealand. He made 95 in the 1st Test at Auckland, missing out on his hundred when he was caught off the bowling of Nathan Astle. The following month he was one of six players shortlisted for the captaincy of the West Indies cricket team. The other candidates were Denesh Ramdin, Chris Gayle, Ramnaresh Sarwan, Sylvester Joseph, and Brian Lara. They opted for the experience of Lara and Sarwan was chosen as vice captain. In June the West Indies played a Test series at home against India and Ganga put in a Man of the Match performance in the 3rd Test at Basseterre, St Kitts and Nevis. Opening the batting he made a career best 135 in the first innings and followed it up with an unbeaten 66 to help his side draw the Test. His good form continued on the tour of Pakistan later in the year where he made a pair of 80's. He returned home and made 3 hundreds for Trinidad and Tobago, including one in the final against Barbados. Ganga was not selected for the World Cup which was held in the Caribbean in March and April 2007 but was chosen to tour England with the West Indies following the tournament, in May 2007. With Brian Lara having retired, and after leading his country to two consecutive Carib Beer Cup titles, Ganga was appointed West Indies vice captain.